Memento Publishing is pleased to announce the addition of two new amazing books! 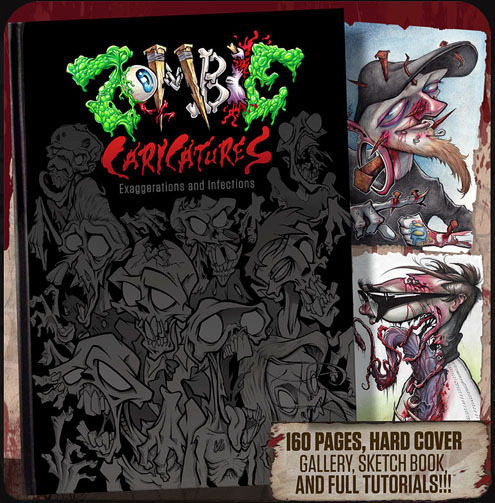 "The Coloring Book Project, 2nd Edition" and "Zombie Caricatures: Exaggerations and Infections" Both books are Now Available! The second installment of this wonderful book brings together inspiration and cleverness from an outstanding cast of 185 artists from around the world. They have contributed their own amazing drawing, giving you the freedom to bring them to life with your own artistic vision. 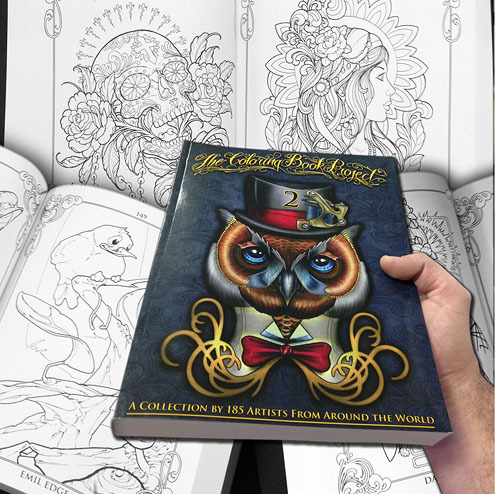 With 400 pages of captivating designs to color and activities to execute, artists can delve into the pages full of inspiring artwork, and break away into an imaginative world. This softcover book is 400 pages and is 8.5 x 11. That's right... "400 pages!" Published by Memento Publishing. A portion of the contributing artists are Greg "Craola" Simkins, Jeff Ensminger, Josh Duffy, Roman Abrego, Justin Hartman, Timothy Boor, Mike DeVries, Mario Rosenau, Cory Norris, Brett Herman, Mike De Masi, Durb Morrison, Don McDonald, Jason Stephan, Sung Song, Steve Morris, Katelyn Crane, London Reese, Monte Agee, Alvin Chong, Frank La Natra, Gary Dunn, Liz Cook, Nick Mitchell, Teniele Sadd, Tim Mcevoy, Nathan Ota and many more! Nick and Sean have not only managed to tweak the hell out of every person they draw and keep their likeness, but they do it while simultaneously throwing axes through their heads, lacerating their jugulars, and slinging blood all over the place. This book also includes some tutorials on how they do it! Hard Bound, 160 Full Color Pages 8.5 x 11 and published by Memento Publishing.